LAKELAND – On behalf of the Florida Conference appointive cabinet, Bishop Ken Carter has announced three new leadership appointments that will take effect July 1. Dr. Bob Bushong, a longtime pastor in the Orlando area who currently leads First UMC, Winter Park, will become superintendent of the East Central District. He will take over from Rev. Annette Stiles Pendergrass, who is in her second year as East Central District superintendent and previously served five years leading the North Central District. Moving to the South East District superintendent’s desk will be Rev. Dr. Cynthia Weems, currently pastor of First UMC, Miami. Rev. Dr. Craig Nelson has been superintendent there since 2009. In addition, Rev. Magrey deVega, ordained in the Florida Conference but currently serving a church in Iowa, has been appointed senior pastor at Hyde Park UMC, Tampa. Rev. Roger Scholtz from South Africa has been serving as interim pastor at Hyde Park since the retirement of longtime pastor Jim Harnish last summer. 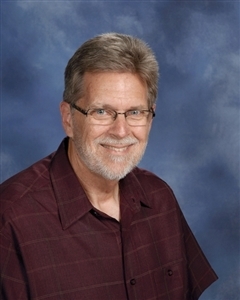 Bushong has served churches in the Orlando area and participated in East Central District activities for about 30 years. He plans to bring that experience to bear while remaining open to fresh perspectives. Before becoming senior pastor of First UMC, Winter Park, in 2000, Bushong was founding pastor of Peace UMC, Orlando. Before that, he served 10 years as an associate pastor, first at Christ UMC, Fort Lauderdale, and then at First UMC, Orlando. He chairs the Florida Conference Committee on Episcopacy and serves on the Strategic Leadership Team. He also has been chairperson of the conference Board of Ordained Ministry and the Orlando district’s Committee on Ordained Ministry. He holds a bachelor’s degree from Stetson University, a master’s degree in social work from Florida State University and his Master of Divinity degree from Duke Divinity School in North Carolina. He received his Doctor of Ministry degree from Princeton Theological Seminary. He is married to Jeanne Ott Bushong, an Orange County school teacher. The couple has two grown children, Robbie and Kimberly, and three grandchildren: Kaylah, Marley and Jordan. The bishop praised Bushong’s leadership in an email to Florida Conference Connection. “Bob Bushong is a respected spiritual leader in our annual conference and has had a very significant ministry as both the senior pastor of First United Methodist Church in Winter Park and the founding pastor of Peace United Methodist Church in Orlando,” Carter said. Weems has been serving churches in Florida since 2007. 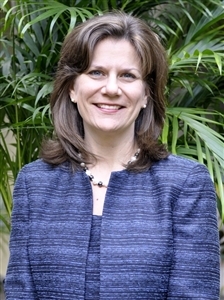 She has been senior pastor at First UMC, Miami, since 2009. A native of Mississippi and self-described “preacher’s kid,” she went on to graduate from Millsaps College in Jackson, Miss., and earn a Master of Divinity degree from Yale Divinity School. She received her Doctor of Ministry degree from Saint Paul School of Theology, a United Methodist seminary in the Midwest. She spent two years as a volunteer missionary in Cochabamba, Bolivia, before accepting clergy appointments in congregations in Connecticut and Kansas. She was a 2004 clergy delegate to General Conference from the Kansas East Annual Conference. In the Florida Conference, Weems has served on the Board of Ordained Ministry since 2010 and has been theology chairperson since 2012. She is the chairperson of the Committee on Resolutions for the conference and has served as the South East District Residents in Ministry leader for six years. Weems has a daughter, Mariana, and two stepchildren, Aline and Felipe, with her husband, Amauri Silva. “Cynthia Weems has been a very effective leader as the pastor of First United Methodist Church in Miami,” Carter said. “In that setting, she has led the congregation into a deeper engagement with the diverse multicultural community that surrounds them. DeVega’s appointment will be a homecoming of sorts. He grew up in the Tampa Bay area and received his bachelor’s degree from Eckerd College before going on to earn a Master of Divinity degree from United Theological Seminary of Dayton, Ohio. 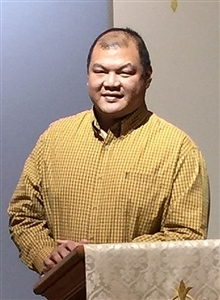 He became a probationary deacon in the Florida Conference in 1997 and was ordained an elder in full connection in 2001. After serving two years as pastor of Bethel UMC, Tallahassee, he was appointed associate pastor at Hyde Park, where he went on to serve eight years overseeing various ministries. He has been pastor of St. Paul’s UMC in Cherokee, Iowa, since July 2007, and recently was recognized as the community’s Citizen of the Year for his efforts to help residents recuperate from a devastating flood in 2013. DeVega is leadership editor for “Covenant Bible Study” by Abingdon Press and has written a book, “Awaiting the Already: An Advent Journey through the Gospels,” to be published this fall. “I am excited to return to serve a congregation that played such a vital role in clarifying and nurturing my pastoral identity,” deVega said in a written statement. “Under the leadership of my friend and former senior pastor, Jim Harnish, Hyde Park UMC has learned to articulate a clear and compelling witness to our mainline, centerfield Wesleyan faith. The pastor has two daughters, Grace and Madelyn. “I am delighted that Magrey deVega will be returning to the Florida Conference,” Carter said. “He is one of the most creative preachers, teachers and communicators in our denomination. He has had a very fruitful ministry in the Iowa Conference, and will bring this experience and a knowledge of the Hyde Park Church to the position of senior pastor at Hyde Park. “My prayer is that he will build upon the foundation of Jim Harnish and Roger Scholtz in creatively proclaiming the gospel of Jesus Christ in the years to come." New appointments for Pendergrass and Nelson will be announced in May, along with pastors for the churches led by Weems and Bushong, according to the bishop’s office. “I want to publicly express my gratitude to Annette Stiles Pendergrass and Craig Nelson, who are returning to local church ministry after seven and six years, respectively, in the superintendency,” Carter said. “Annette has served both the North Central and East Central districts. She has invested greatly in establishing clergy peer groups that connect leaders for support and accountability. Craig has been instrumental in leading the South East District to establish a Hispanic Academy and, as a member of the National Hispanic Plan, has initiated the birth of a Portuguese language congregation.